prevent state governments from suspending All India Service officers without the consent of the Centre. The issue cropped up earlier this year when Uttar Pradesh government suspended a young IAS officer, Durga Shakti Nagpal, on the pretext of demolishing a wall of a religious place whereas everyone was aware she was framed for taking on the sand mafia in Western UP who were well-networked with a section of the state’s political biggies. 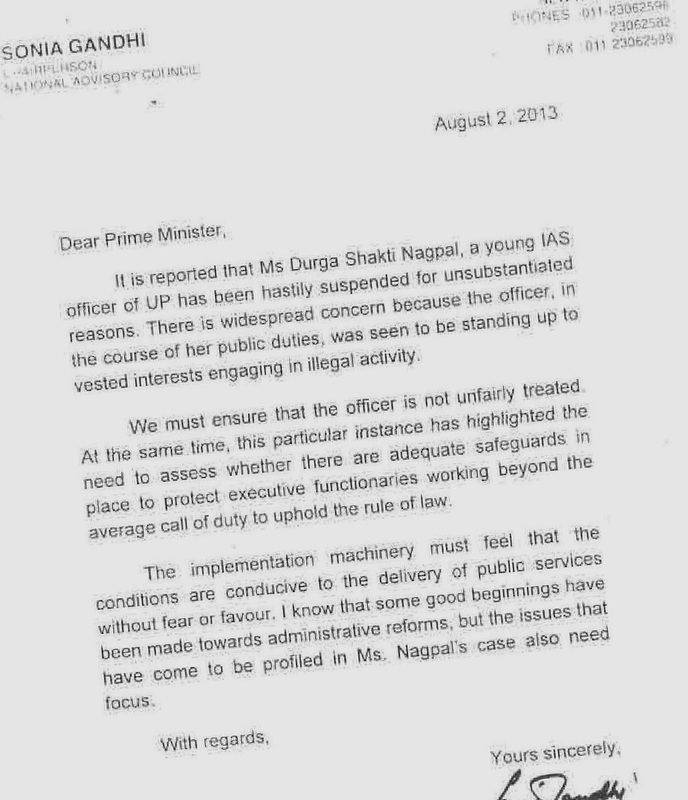 On August 2, 2013, UPA chairperson Sonia Gandhi wrote a letter to the Prime Minister urging him to ensure that “the officer is not unfairly treated”. According to media reports, PMO recently replied an RTI query to one Sanjay Sharma from Lucknow where it said: “In the backdrop of the letter written by Smt Sonia Gandhi, the DoPT is in the process of affecting amendments to AIS (Discipline and Appeal) Rules, 1969 which would subsequently need to be placed before the Cabinet for consideration/approval.” But the RTI reply did not spell out the nature of the proposed amendments, as the PMO was not bound to give the details pertaining to the Cabinet which are exempted under Section 8(1)(i) of the RTI Act. But it is learnt that the DoPT is toying with an idea of amending the rules so that it becomes mandatory for a state government to seek approval from the Centre before suspending an IAS or IPS officer working in the state. The Centre may further outline a rule under which serving a show-cause notice and getting a reply from the officer is made mandatory before suspending the said officer. 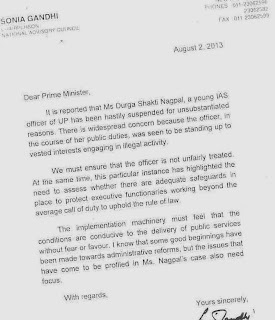 Mrs Gandhi in her August 2 letter said, “…this particular instance (Nagpal issue) has highlighted the need to assess whether there are adequate safeguards in place to protect executive functionaries working beyond the average call of duty to uphold the role of law”. Mrs Gandhi wrote the letter in her capacity as the chairperson of the government think-tank, National Advisory Council, which comes under the administrative control of the Prime Minister's Office.